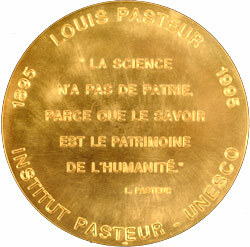 To mark the centenary of the death of Louis Pasteur, the Paris-based Pasteur Institute and UNESCO jointly created this medal. 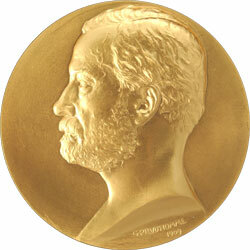 Coinciding with UNESCO’s biennial General Conference, the medal is awarded in recognition of outstanding research that has a beneficial impact on human health and the advancement of scientific knowledge in related fields such as agriculture, fermentation and food. Regarded as "the most perfect gentleman the world of science has ever known", the French chemist and biologist is recognized the world over an exceptional benefactor of humanity, on account of his outstanding work in microbiology, immunology, chemistry and fermentation techniques.